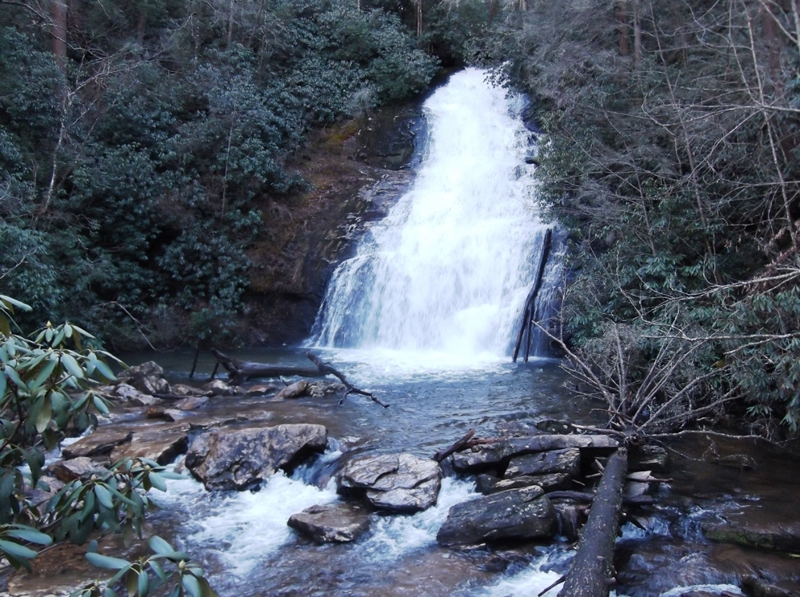 Helton Creek Falls in Blairsville GA is one of the best kept secrets! Helton Creek Falls in Blairsville GA is one of the best kept secrets . It also happens to be one of the easiest Falls to get down to and the lower and upper falls are just amazing! If you’ve been to Vogel State Park its just a little ways down the road from it off Helton Creek Road. From the small parking lot you’ll see the trailhead marked by a simple sign and arrow. This trail descends quickly, but not too steep, to a mountain laurel cove fed by Helton Creek rich with moisture-loving plant life. Many of the improvements in this area date back to the work done by the Civilian Conservation Corps. As the path climbs you’ll come across a boardwalk over fragile riverine zones. Stairs on the left descend to the bottom of the falls, where a viewing deck offers an excellent place to watc h the first falls, commonly known as Lower Helton Creek Falls. 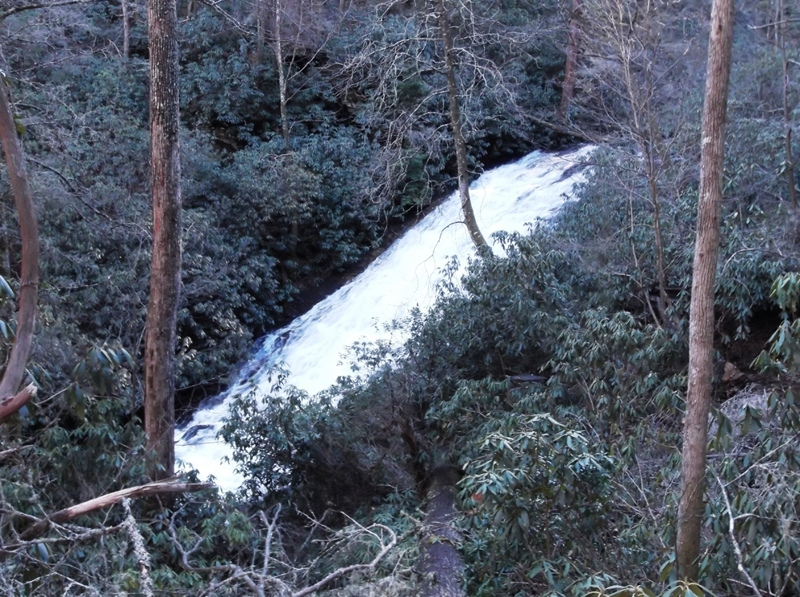 These wide falls wash over a ledge before cascading down an easy slope about 30 feet into a small pool below the falls with a roar that can be heard almost to the road. The last time we were there, we had so much rain the water was up so much it covered the last few steps. Continue on and climb the stairs and follow the trail around the left to another viewing area at the top of the Lower Falls. 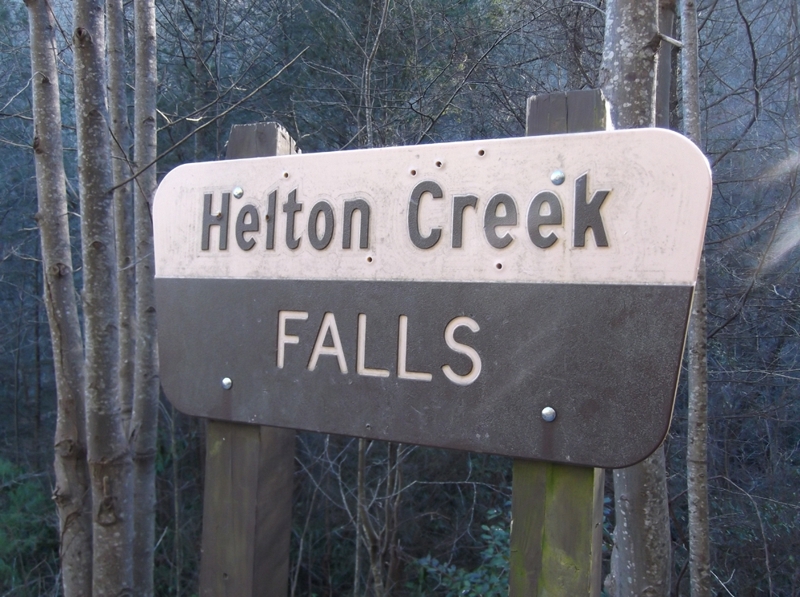 The trail then continues to Upper Helton Creek Falls, a taller but not quite as wide version of the Lower Fall. These falls are a more vertical fifty foot drop. Another wonderful hike and photo opportunity as part of the many great Things To Do in Blairsville GA mountains!